Anish Buch is the VP of Supply Chain at L’Oréal USA. In this role, he leads channel/customer collaboration, planning and the customer supply chain teams supporting 8 global brands within L’Oréal’s Consumer Products Division. Prior to joining L’Oréal in 2015, Anish spent several years at Unilever in roles of increasing responsibility within continuous improvement, manufacturing, planning, strategic transformations and acquisition integration. An engineer by training, he has lived or worked in Asia, Africa, Europe and the Americas. He enjoys conversations, travel, history and leading change- deconstructing and reconstructing supply chains to make them fitter for purpose. B.C. Silver currently serves as Vice President, General Manager - National Brands for Green Dot Corporation where he oversees all branded consumer products carried nationally in retail and online (over $1 billion in customer revenue). He also leads end-to-end operational S&OP planning, design and implementation. B.C. has 16 years of S&OP /IBP experience and has implemented S&OP processes in several unique product categories across 6 countries. His subject level expertise ranges from AI and advanced analytics to S&OP initiation. Prior to joining Green Dot, B.C. held a number of senior leadership roles in Marketing, Demand Planning and Sales Planning at Procter & Gamble, Clorox and Mars. He has championed large scale corporate S&OP integration and served as an S&OP consultant to a range of medium and large companies. He holds an MBA from the University of Tennessee. Eduardo has worked in many different industries and in a variety of leadership roles covering S&OP, Portfolio, Pricing and Commercial management in the health wellness industry. Eduardo has expertise in integrating and optimizing AI and Machine Learning to power analytical models for improved demand planning. This includes extracting value from data to identify opportunities to optimize margin across the network; and improving customer experience, service levels, and operational efficiency. In his current role at Fleury, Eduardo has led corporate S&OP, using his skills as a facilitator of decision-making to deliver better operations planning. Prior to joining Fleury, he worked for business consulting firm Integration Consulting and for Mobly, an e-commerce company. Eduardo holds a bachelor’s degree in Electronic Engineering from Instituto Tecnológico de Aeronáutica – ITA in Brazil. Willis H. Thomas, PhD, PMP, CPT has worked for large corporations and academic institutions in the areas of human resources, learning and development, quality assurance, project management, sales and marketing, measurement and evaluation, and operations. He has been in senior management for life sciences companies for the past 15 years. Dr. Thomas is adjunct faculty at the Lake Forest Graduate School of Management (LFGSM.EDU), International Institute for Learning (IIL.COM) and Institute of Validation Technology (IVT). His publications have received global recognition from associations such as the Project Management Institute (PMI) where he received the Cleland Award for “The Basics of Project Evaluation and Lessons Learned.” This book was an 8-year effort that enhanced the framework for the evaluation of projects using the PMBOK® Guide. He has been a featured speaker on an international basis and has received the Apex Publication Excellence Award for implementing useful tools for project management, evaluation and training with the Association for Talent Development (formerly American Society for Training and Development).He was the 2019 recipient award for Most Influential African Americans of Lake County. Bill Mrzlak is Founder and Managing Partner of ChainSequence, Inc., and international business management consulting group specializing in the improvement of global supply chain planning for clients located throughout the world.Bill has an extensive career in international consulting, strategic planning, business process improvement and business process management for a wide range of industries, including a focus in the high-tech electronics manufacturing sector.Working with top levels of executive management and senior enterprise stakeholders, Bill uses his skills as an outstanding leader communicator and facilitator to help diverse client groups develop smarter business processes to achieve corporate success. Bill's specialization is in the area of business process re-engineering through facilitated sessions, as well as managing systems development and deployments.He has been integrally involved in the deployment of numerous international, enterprise-wide initiatives.These include but are not limited to S&OP forecasting, planning, scheduling and execution business processes, as well as the system deployments required to support them.He has driven the development of best-in-class supply chain planning and S&OP organizations and processes in the U.S., Europe and Asia. Steve Hernan is the Market Intelligence Manager at Rauland, a division of AMETEK, Inc.As the key liaison with sales, operations, finance, and leadership, he oversees all forecasting and demand planning activities for Rauland’s North American and international healthcare product portfolios.Steve’s expertise includes both quantitative and qualitative forecasting with a special emphasis on product lifecycle management (NPL/EOL, pricing/portfolio optimization) and forecast value added (FVA).In addition to his S&OP responsibilities, Steve manages Rauland’s marketing analytics and competitive intelligence programs.Steve has an MBA from the Thunderbird School of Global Management and is an active member of SCIP (Strategic and Competitive Intelligence Professionals) and IBF. Michael Morris is currently Manager of Inventory-Product Service and Parts at Yamaha Corporation of America. Prior to his current role, he was Manager of Inventory Control and Forecasting at Yokohama Tire Corporation, where he rebuilt the company’s forecasting process. Before that, he was with Roland Corporation U.S. as an Inventory Control Manager as well as with Allegro Mfg., a Division of Conair, as a Business Analyst. Mr. Morris has extensive experience in supply chain management and forecasting. His credentials include APICS Certification in Logistics, Transportation and Distribution, Certification in Production and Inventory Management, Certified Supply Chain Professional, Certified Lean- Six Sigma Green Belt, Professional Designation in Logistics and Supply Chain Management, Certification in Sales and Operations Planning, as well as CS&OP from the Institute of Sales and Operations Planning and IBF’s Certified Professional Forecaster (CPF). After graduating with a degree in History and Political Science, Carol took a job in operations to pay the rent. Within a year she had fallen in love with the field and never looked back. She has over 20 years of supply chain management experience including distribution, logistics, inventory management, business analytics, demand planning, forecasting, and her great passion S&OP. She was CSCP certified by APICS in 2012, CS&OP certified by the S&OP Institute and The Ohio State University Fisher College of Business in 2014, and became an APICS Associate Instructor in 2016. She serves as the Director of Education for the APICS Cleveland chapter. Currently she is the Senior S&OP Manager for Spray Products Corporation. Erin Marchant is the Sr. Manager, Demand Planning and Strategy at Collins Aerospace, located outside of Dayton, OH. She has over a decade of varied experience in Supply Chain, from strategic sourcing to material planning, production scheduling to her favorite area, demand management. Erin holds a B.S. in Economics from Heidelberg University, an MBA from Ashland University and a M.S. in Information Architecture and Knowledge Management from Kent State University. Early Bird Rate – Expires in 6 days, 15 hours. This event was very informative and there were great ideas presented that I will be using to improve our forecasting process. Barbara Thomas, Demand Planning Manager, Ecolab, Inc.
Now in its 12th year, the Best of the Best S&OP Conference is renowned as a global gathering of the brightest minds in the industry. The Best of the Best S&OP Conference presented by ASCM and the Institute of Business Forecasting and Planning (IBF) is the leading educational and networking event for professionals in the field. The educational sessions presented here in Chicago will cover a range of in-depth topics to help you implement or improve S&OP within your organization. Completion of this event is eligible for Continuing Education (CE) credit and maintenance towards your accounting, supply chain, analytics, ASCM, and IBF certifications. Contact us for details. The Association for Supply Chain Management (ASCM) is the global leader in supply chain organizational transformation, innovation and leadership. As the largest non-profit association for supply chain, ASCM is an unbiased partner, connecting companies around the world to the newest thought leadership on all aspects of supply chain. ASCM is built on a foundation of APICS certification and training spanning 60 years. Now, ASCM is driving innovation in the industry with new products, services and partnerships that enable companies to further optimize their supply chains, secure their competitive advantage and positively impact their bottom lines. Having some of the world's most well known global companies as its members, the IBF is constantly finding and disseminating better ways to manage demand, improve organizational efficiency, and company performance. By becoming an IBF member, you can ensure that you stay current with proven best practices, link with global professionals facing similar challenges, ascend in your career, and bring your organization to best-in-class levels in performance. 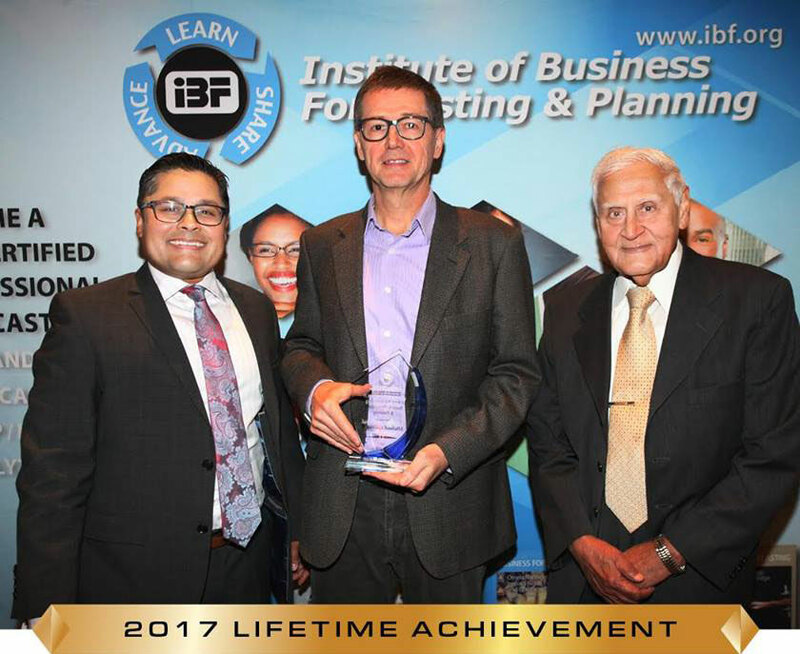 The IBF is a pioneer in developing a Demand Planning, Forecasting, and S&OP Certification program that can help boost your credentials, as well as, give management greater confidence in its people. 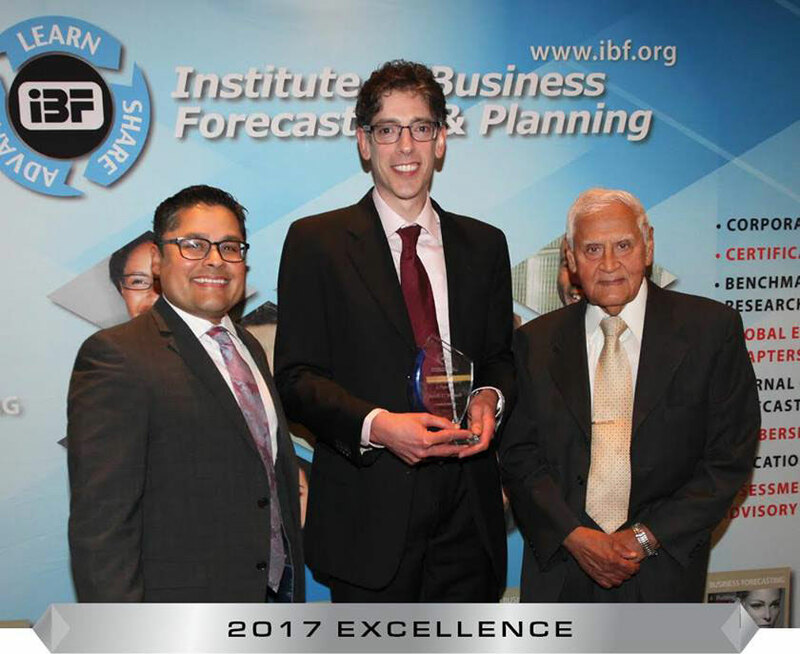 The IBF is known for two levels of certification: Certified Professional Forecaster (CPF®) and Advanced Certified Professional Forecaster (ACPF®). S&OP has been around before the conception of the internet and in terms of its core concepts, not much has changed since then. This is a serious issue for all demand planners and S&OP professionals because your particular market and consumer bases have changed drastically over the last 30-plus years. The problem is not a lack of understanding of existing processes or a lack of results. The problem, rather, is that S&OP and Integrated Business Planning may not keep up with where your business is going, and risks failing to deliver value in an evolving marketplace. In this opening session, we will look at emerging technologies and their potential impacts, current processes and potential gaps, and how all roads lead back to predictive analytics and the value you will add in the future. This presentation is designed to challenge your perceptions, guide you to the sessions at this conference that will benefit you most, and provide you with a solid foundation so you are ready for when AI takes over your S&OP process. What is demand planning and how does it differ to forecasting? How does S&OP fit into the overall business planning process? In the world of forecasting and planning, it is not only important to define and clarify these functions, but to also understand their relationships to one another. In this session, you will discover how an effective forecast drives better S&OP and how demand planning’s collaborative approach is a catalyst for effective decision making, both for supply chain and the wider business. S&OP requires commitment, consistency, and qualified decision makers for a company to succeed in achieving its business objectives. Meticulous consideration must be paid not only to identifying individuals with the desired leadership abilities, but also to those added post-implementation. S&OP functional requirements are essential for anyone joining the S&OP family of leaders within an organization. Whether you are adding specialized practitioners, mid management managers, or executive level leaders, soft skills in collaboration with management are fundamental requirements for any team member. This session will detail how to strengthen your S&OP team with the right balance of skills to establish S&OP as a cross-functional value driver. One of the main reasons S&OP launches fail is lack of ongoing support from executives.Getting their support for a new process is critical for its success and managing their expectations and involvement can be a huge challenge.Forward-thinking companies recognize that implementing a well-functioning S&OP process is instrumental to operational success. But to achieve successful S&OP you need everyone on board, starting at the top. In this session, we will discuss how to get executives on board and stay on board. This includes aligning planning operations with the organizational goals to achieve a more accurate strategic decision-making process within the business. We will also focus on the importance of change management and ongoing oversight of an S&OP process to align with growth and cross functional collaboration. The overall aim of the S&OP process is to be a vehicle for decision making and arrive at a game plan to manage and allocate the firm’s resources to meet the needs of customers and grow the business. A key driver for effective S&OP is demand planning and forecasting, which many companies find extremely challenging. Demand Planning and Forecasting drives the Demand Review meeting. Forecasts must therefore be assessed to ensure that they are realistic and unbiased. Gaps between supply and demand, and between forecasts and plans, must be closed to maximize revenue and profit, whilst risks and opportunities need to be visible to develop corporate strategy. If your team struggles to achieve an effective demand review process driven by accurate forecasts, this session is for you. With the technology today, there is a tremendous amount of data available, as well as a variety of techniques such as machine learning and data mining to provide unparalleled insight into demand. Understanding how to harness this innovation for more robust planning is not easy, but one thing’s for sure: the technology that we’ve been talking about for years is now here and ready to be implemented in your organization. This session will reveal how to convert the mass of both structured and unstructured data into value-added insight to help improve service, reduce costs, improve inventory management, and increase profits. With a clear action plan, you can accomplish all this and more. The supply review process is the “other half” of the Supply and Demand Balancing process, and is critical for long term management of capacity and inventory. Demand planning offers an unconstrained plan, while the Supply Review arrives at a constrained plan with options for resolution or issues that need to be elevated to a higher level. During this session, we will review the basics of the Supply Review process, while sharing best practices and what should be discussed during the meeting. This will include important metrics, tools, suggested participants, the cadence to keep, and more. With practical takeaways, you will learn how to make the supply process in your own organization as lean and efficient as possible. Cycle timing – should planning and reporting be done in days, weeks or monthly buckets? Put ASCM & IBF to Work for You! Become a Member of IBF & ASCM and Start Improving Your S&OP Performance Today. There's never been a better time to be an ASCM member. No matter what stage you're at in your career, ASCM membership provides opportunities to extend your knowledge base through members-only resources and cost savings on educational materials. By becoming an ASCM member, you'll be part of a community that is committed to your success and to preparing you for a brighter future. It's important to invest in your future. ASCM offers access to exclusive and innovative career and professional resources. Join today to be a part of the ASCM membership community.